Our very popular Summer Work and Learn Program is gearing up. This is a wonderful opportunity for area youth with challenging lives to experience a supportive peer environment; learn about agriculture through all aspects of gardening; and get hands-on involvement in business planning and management by bringing their produce to market. 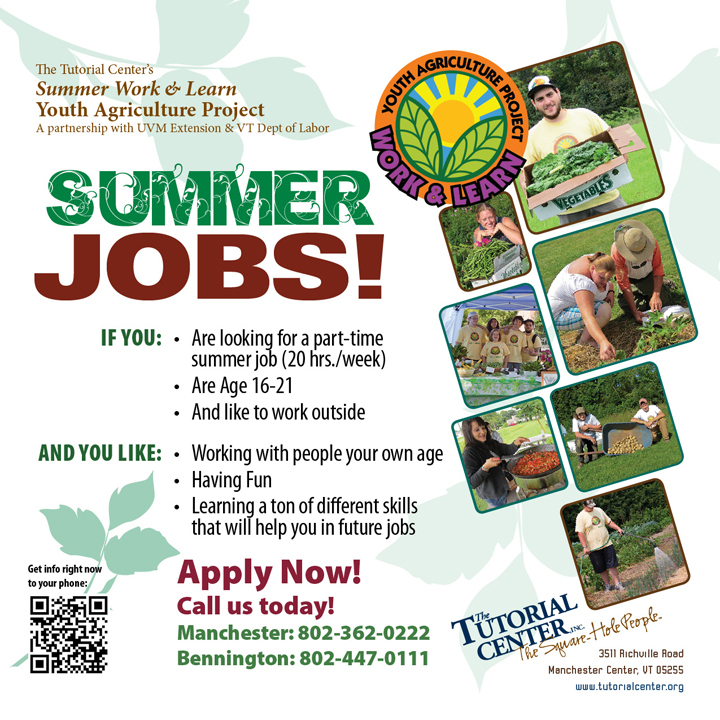 If you, or someone you know age 16-21, is looking for a positive place to dig in this summer and have some fun – find out more about YAP’s Summer Work & Learn. < The Tutorial Center. One of a kind.